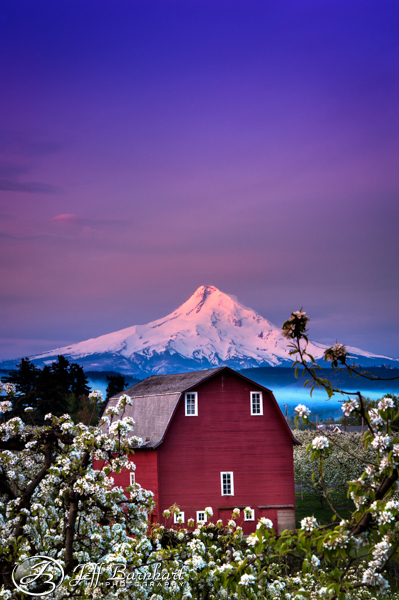 Spring time in the gorge is probably my favorite time of year, with the fields of wild flowers and lush greens. The green season isn’t over yet, so I still have more to shoot, but it’s been so wonderful this year! The Balsam Root and Lupine both exploded almost in unison, and it was truly breath taking! But before we get there, let’s go back 3 weeks. 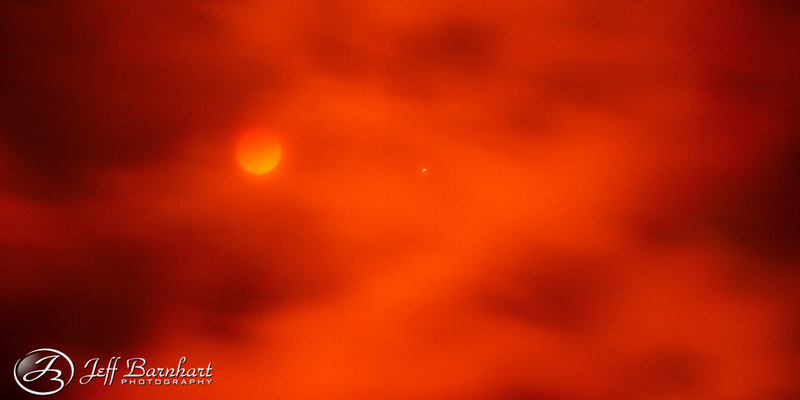 We had a blood red lunar eclipse, but there wasn’t much to see from my viewpoint, and it was hard to photograph through the clouds, but this is what I got. Later that weekend I met up with my friend Dan Sherman and his friend Jesse on a Friday evening in the gorge. We both wanted to shoot the red barn, but arrived too late, and the good lighting had past. 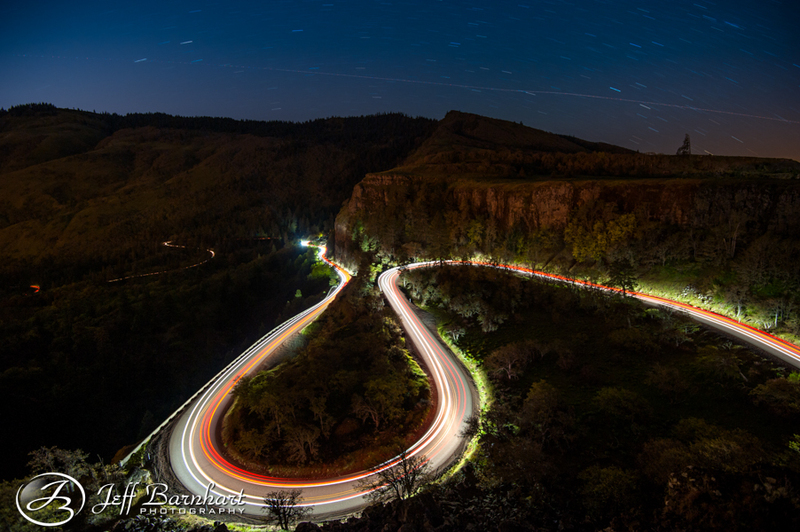 The light really wasn’t that impressive anyway, so we shrugged it off and headed to Rowena to do some light painting. Dan really wanted to take some night shots with some car trails here, so he handed Jesse his keys, and we sent him down the hill and back 3 times until we got the shot we were looking for. On the third attempt a second car followed Jesse down, and gave us the extra light we were looking for to really make this scene pop! Before setting up camp and roughing it, we went out for pizza and beer like true woodsmen. After a good night’s sleep we woke up and decided that we’d give the red barn it’s due. We arrived pretty early, but it wasn’t early enough as a couple of photographers beat us here and took the compositions we had wanted. I still ended up finding one that I liked, but apparently another photographer like it as well. This wasn’t my first experience with “Comp-Stomping”, but the breathing on the back of my neck while she shot over my shoulder made me feel uncomfortable. From Hood to coast! Our next destination this weekend was Seaside, where we would begin our hike to Canon Beach through Ecola State Park. 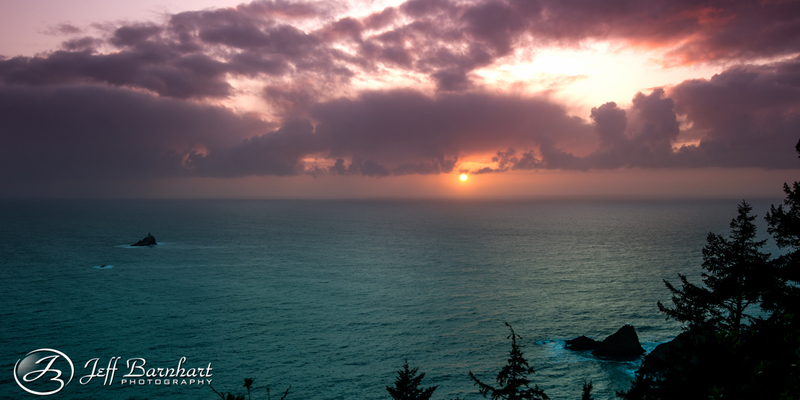 The first half of our hike would be cold, rainy and quite muddy, as we made our way up the mountain to the Tillamook Rock Lighthouse viewpoint where we watched a wonderful sunset as I stood atop the windy cliff and shivered in my wet clothes. Immediately after sunset, we went back to camp and built a fire with a couple that were involved with a community of hammock camping. Very interesting, light weight shelters, but for us, we stayed in the quite warm and dry Adirondack style shelters at the campsite. We found them so comfortable that we slept for about 14 hours, and woke up at 1:00 pm on Sunday! Sunday we hiked down all the way to Cannon Beach, where I had parked my car the day before. The hike down was quite scenic, and I can’t wait to return to photograph it with more impressive lighting. After driving Dan and Jesse back to Seaside and having a delicious seafood dinner, we parted ways. Dan and Jesse headed south on their way back home, and I went back to Cannon Beach to shoot Haystack Rock to find a different composition. It was a great weekend, but after 9 miles of hiking in mud I was quite tired. 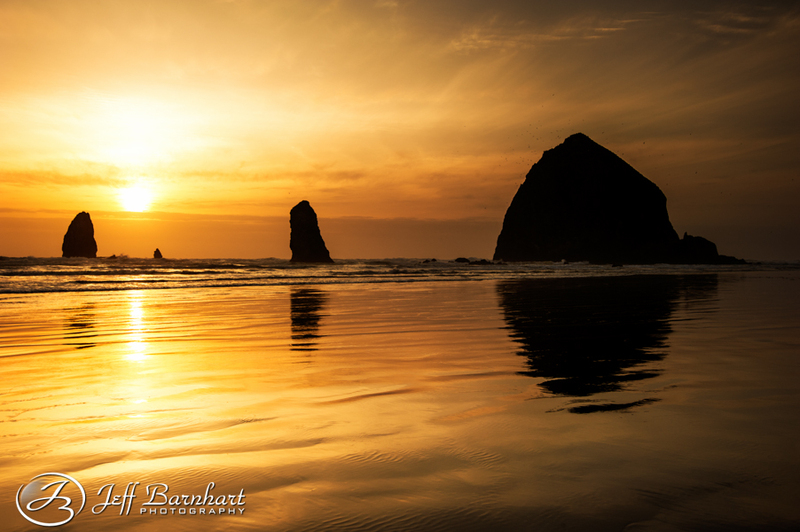 You need to have your photos hanging in a very well known gallery or in the airports around Oregon & Washington. Awesomely fabulous pictures!